Railroad Tycoon was an unreleased game by Microprose. Magazine scans courtesy of Retromags. 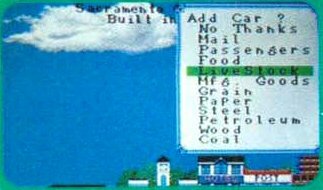 Railroad Tycoon appears on a list of rumoured titles in the June 1991 issue of Nintendo Power. 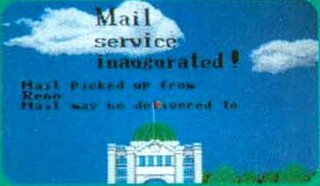 The March 1992 issue mentioned that the PC version of the game was shown at CES, but said that the SNES version was not shown. The April 1992 issue of Gamepro also mentions that the game game was announced at the Winter 1992 CES for the SNES. According to the January 1993 issue of Nintendo Power, the game was nearly finished and was scheduled for a summer 1993 release. THe March 1993 issue of Nintendo Power had a more complete review, and even some screenshots. It was shown as a Fall 1993 release in the September and October 1993 issues of Nintendo Power. Listing in the April 1992 issue of Gamepro.